There are at least three bands named Sparks. One is an American rock and pop music band formed in Los Angeles in 1970 by brothers Ron Mael (keyboards) and Russell Mael (vocals), initially under the name Halfnelson. Best known for their quirky approach to song writing, Sparks' music is often accompanied by cutting and acerbic lyrics, and an idiosyncratic stage presence, typified in the contrast between Russell's wide-eyed hyperactive frontman antics and Ron's sedentary scowling. One is an American rock and pop music band formed in Los Angeles in 1970 by brothers Ron Mael (keyboards) and Russell Mael (vocals), initially under the name Halfnelson. Best known for their quirky approach to song writing, Sparks' music is often accompanied by cutting and acerbic lyrics, and an idiosyncratic stage presence, typified in the contrast between Russell's wide-eyed hyperactive frontman antics and Ron's sedentary scowling. The band's long career has seen them successfully adopt many different musical genres; including glam pop, power pop, electronic dance music and mainstream pop. Despite these many styles, a recognizable "Sparks sound" remains throughout, and they have enjoyed a large cult following since their first releases. 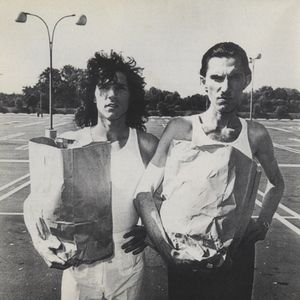 Sparks have been highly influential on the development of popular music, in particular on the late 1970s scene, when in collaboration with Giorgio Moroder (and Telex subsequently), they reinvented themselves as an electronic pop duo, and abandoned the traditional rock band line up. In contrast to the esteem in which they are held by such peers as Depeche Mode, New Order, Pet Shop Boys and They Might Be Giants, who all cite Sparks as a major influence, their almost constantly changing styles and unique visual presentations have sometimes seen them dismissed as a novelty act.